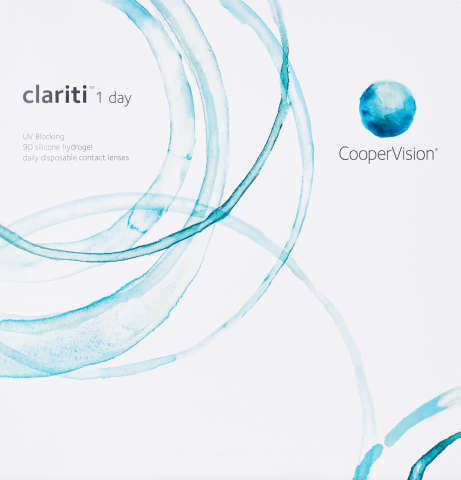 The Convenience of Daily Disposables, the Health of Silicone Hydrogel If the convenience of daily disposable contacts appeals to you, clariti® 1 day lenses are an excellent choice—whether you’re new to contact lenses or want to switch from your current hydrogel lenses to the healthy advantages of silicone hydrogel. Silicone hydrogel lenses allow more oxygen to pass through to your corneas than hydrogel lenses. That’s important because it makes the lenses more “breathable” for whiter, brighter eyes and a healthier lens-wearing experience. 90 sterile soft contact lenses.